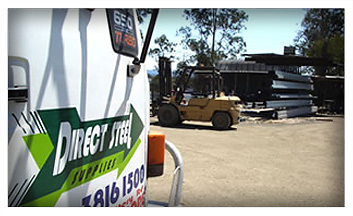 Direct Steel are more than willing to accept an order over the internet. However, if you choose to do this, without contacting us personally…please be sure to leave your personal, payment and delivery details. Payment can be COD if you are local. If you are within our delivery range price is subject to distance, Otherwise we ask that you provide address details of your preferred transport company as we deliver to local transport depots free of charge. Payment can be made by Cash (personally), Cheque (mail) or by EFT or Credit Card. If we have not dealt with you before we require payment either on or before delivery.